The Zamst ZK-7 Knee Support is the strongest knee support for moderate to severe sprains of the ACL, PCL, MCL and LCL. 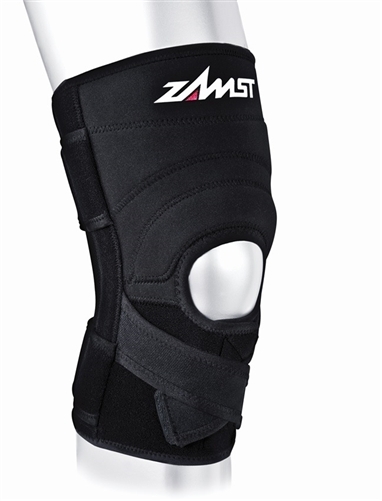 The Zamst ZK-7 has an exo-tech quad which provides 4-way ligament support with resin stays to support medial and lateral stability as well as x-strap and parallel straps for effective anterior and posterior stability to the ACL/PCL. The ZK-7’s i-Fit technology provides a semi-open design to deliver an individualized fit to help prevent slipping. The flyweight lightweight material fabrication designed with V-Tech flow through ventilation enhances cooling while in motion.